Top 10 Slot Trademark Ripoffs - Casino Answers! Often an online casino platform such as Cryptologic or Microgaming will go out and get licenses for slots such as the many Marvel and DC comic book slots you can find around or the Lord of the Rings movie slot. Even more frequently, they will develop a slot game that takes a theme from somewhere else, modify it a little bit and call it something similar. We’re gamblers not lawyers here at Casino Answers, so we’re not interested in protecting anyone’s intellectual property, but we will are going to list many slots that are around that borrow from pop culture and bring it to slot machine form. 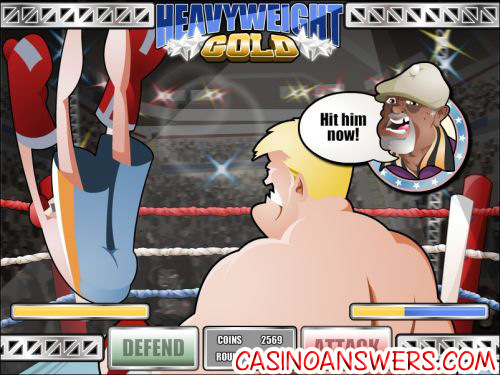 Heavyweight Gold is a fairly original slot, but it does use a soundtrack very similar to the popular theme from the Rocky Balboa movies. Speaking of the Rocky movies, you can play an official Rocky Video Slot at Playtech online casinos. If you would like to play the excellent Heavyweight Gold iSlot, you can find it at Bovada. The London Inspector video slot gives away its theme on its help page by putting the image files in the “Sherlock Holmes” directory. 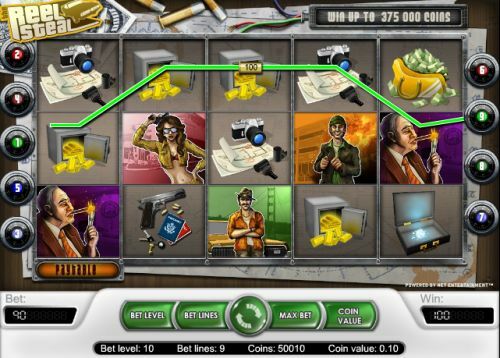 London Inspector does a fine job that emulating the feel of Sherlock Holmes and bringing it to the online slot world. 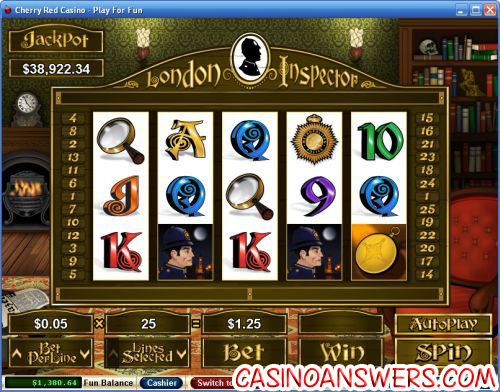 You can play the London Inspector video slot at Bovada. We are fairly sure Aladdin existed long before the Disney animated movie was released in 1992 and that who ever first came up with the story has been deceased for some time, so there probably isn’t an outstanding copyright on the story. With that in mind, Aladdin’s Wishes uses a similar style of art that makes its characters look similar to the Disney characters. They coloured the Genie green instead of blue – that makes all the difference in the world! You can play the Aladdin’s Wishes video slot at Bovada. Let’s see, a game show themed video slot with a name like “Reel of Fortune.” It even has a smiling blonde hostess. 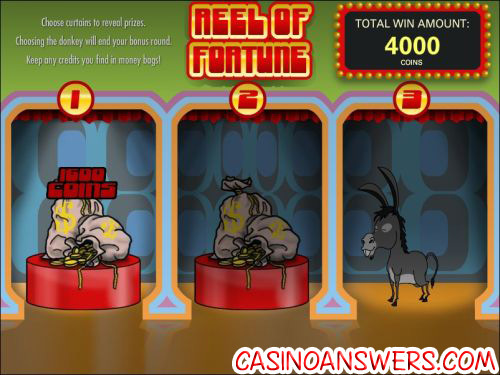 With that aside, the Reel of Fortune video slot does not rip of Wheel of Fortune as much as one might think. It is really more of a general game show themed slot. You can play it for yourself after you sign up at your choice of Bovada. An opera has been haunted? By ghosts? Or would you rather call them “phantoms?” The Haunted Opera doesn’t “mask” its intended theme very much, featuring many of the items seen in the Phantom of the Opera play. Its soundtrack is also very similar to that of the Phantom of the Opera. 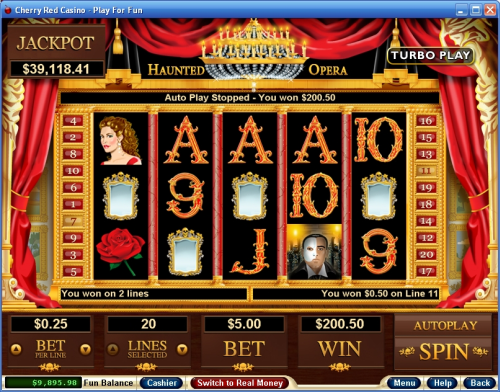 You can play the Phantom of the Opera Real-Series Video Slot at Bovada. Mermaid’s Quest takes many of the characters we grew to love from the Little Mermaid Disney film and puts them in a video slot. You’ve got Ariel (mermaid), her father, Sebastian (lobster) and Flounder (fish). 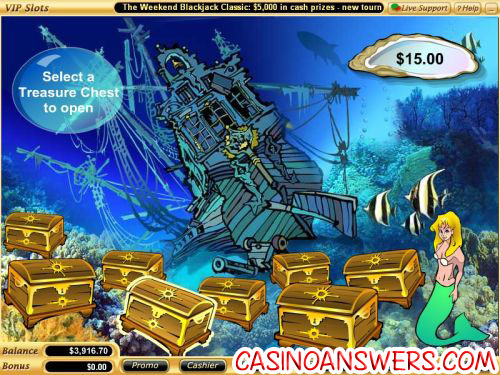 You can play the Mermaid’s Quest video slot at Vegas Tech online casinos like Bovada. You will recognize the font of the Reel Steal video slot as being from a certain video game set in Liberty City. If you’re not a gamer, that game is Grand Theft Auto. Reel Stuff has symbols such as fast cars, dynamite, mob bosses, prostitutes, weapons and cash money. You can play Reel Steal at Bovada. It’s rather obvious from the logo that The Reel Deal video slot is based on the gameshow Deal or No Deal. It even has a bonus game where you can play the Deal or No Deal game. 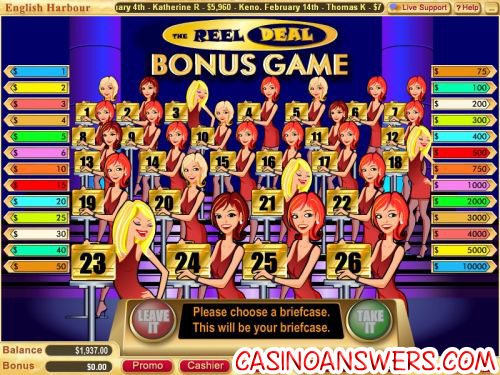 The bonus game makes the Reel Deal video slot a very exciting slot game to play and definitely one to check out when you sign up at Bovada. Relic Raiders is inspired by the Indiana Jones film series, starring Harrison Ford. While they did rip some characters, creatures and items such as a snake, a plane, a monkey and the villain from Temple of Doom straight out of the movies, at least they made the main character not look too much like Harrison Ford. We’d also like to give an honourable mention the RTG Hidden Riches Video Slot, which has a very similar theme. You can play the Relic Raiders video slot at Bovada. The Spy Game iSlot from Rival features an international spy character who drives fast cars, uses lots of gadgets and gets all of the women. It’s not too hard to figure out that the Spy Game video slot was inspired by James Bond. Spy Game has a lot of different stages to it, which often means you can be playing it for a long period of time trying to make it to the next stage. 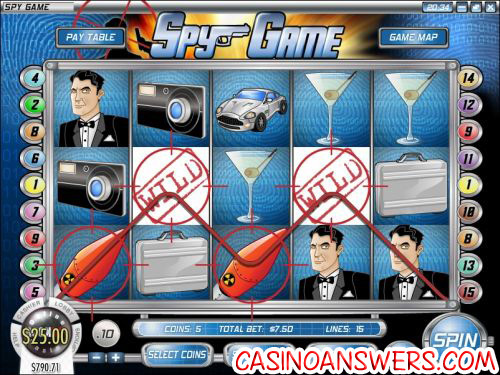 You can play the Spy Game interactive slot game at Bovada. Remember, we are not trying to pick on any of these casino developers for lack of original ideas. 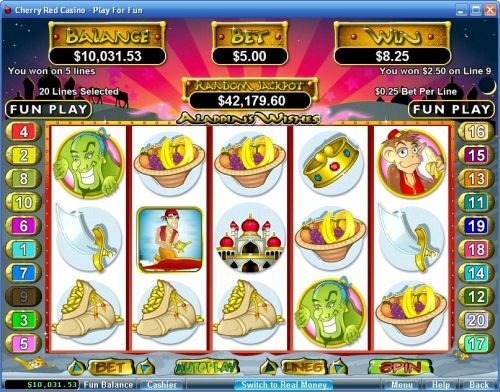 Rather, we commend them for being able to come up with a theme that slots players will find familiar and want to play. If you know of any slot games that fit the description of this list and want to have your input or if you disagree with any of these selections, feel free to let us know by sending us an e-mail. Why don’t casino developers come up with more original themes? These are some ridiculous ripoffs. Can’t they be sued? If you look at most slot themes, they are by and large very original. However, there are the odd ones that are inspired by something else that may or may not have a copyright. Not all of the slots listed on this list have active copyrights – that’s not the point of this list. 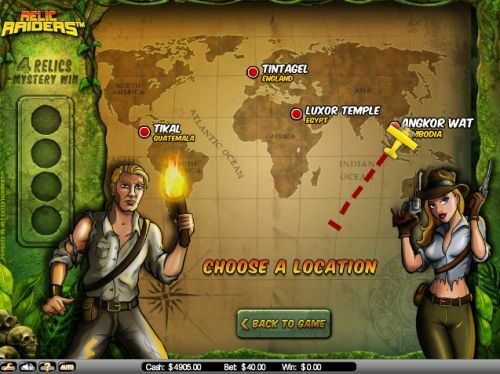 The point of this list is to point the casino player in the direction of some slots that are have familiar themes so that if they want to play an Indiana Jones flash game or James Bond video slot, they can find one.